Chewing gum is extremely popular throughout the globe and its purposes vary vastly for each and every individual. Some do it for the taste, some do it for the fresh breath, others as a stress reliever or for the simple need to just chew something. Its uses are endless but have you ever considered chewing gum for the benefits related to reaction time or mental alertness. 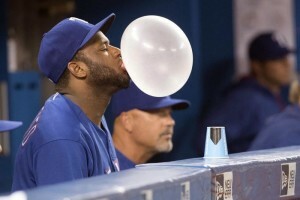 That’s right, what if chewing gum can actually improve academic productivity or improve your effeciency in a sport. I think much more non-gum chewers would start chewing gum for these alternative reasons if they knew of the benefits. Something as easy as popping a piece of gum into your mouth before a test or quiz or before completing an assignment can make all the difference. According to Proffesor Smith from Cardiff University, the action of chewing gum activates certain areas of the human brain that affects mental alertness which can help with focusing and reaction time. The actual motion of chewing itself boosts the heart rate of an individual, and in result this increases the amount of direct blood flow to the human brain. The combination of these results lead to a sufficient improvement in productivity in the classroom and even on a sports field. Studies from the Brainy Journal, show results of comparison between gum chewers and non-gum chewers during standardized tests and homework time. 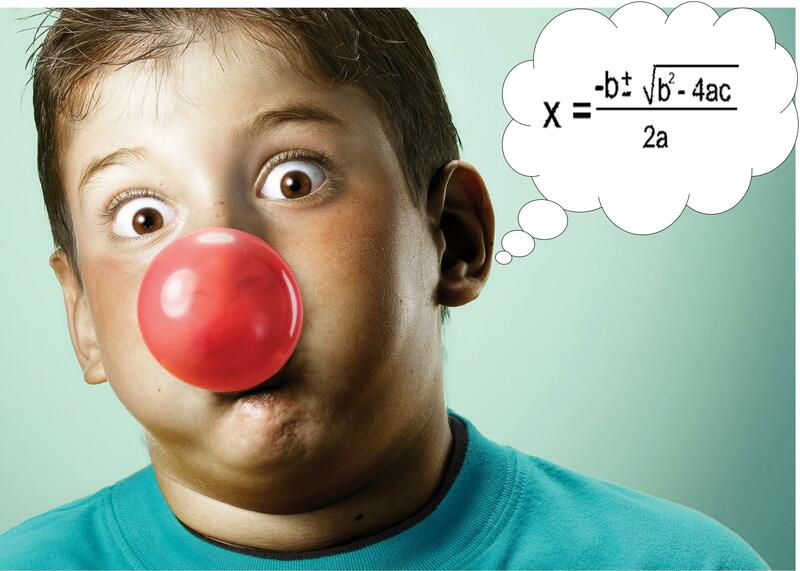 Students who chewed gum during these periods earned higher grades than those who did not. Scientists and researchers are still investigating just what might be the reason behind the improvement in academic performance from gum chewing, however similar theories as mentioned before are continuously brought up. More blood flow to the brain from the chewing motion actually stimulates the area of the brain that is responsible for attention-span and other important factors that benefit academic scores. So if its that easy why doesn’t everyone start chewing more gum? Regardless of any facts or data, should everyone be chewing gum….. yes? No, not actually thats solely a preference. But when looking at the benefits outlined the answer is yes. Something as effortless as moving your jaw in the chewing motion can boost your academic performance and possibly impact your future. I think a few sacrifices of stuck pieces of gum and an occasional bubble pop, is worth the academic scores that can grant you an entrance to a school of your full potential and dictate the beginning of the rest of your life. So buy a pack of gum and start chewing! This entry was posted in Uncategorized on September 15, 2016 by Hugo Almeida. I thought that your post was interesting and will definitely try chewing gum during my next test. Another thing that helps improve test scores is the use of peppermint during tests. According to this article in Live Strong, peppermint can stimulate the brain, improve memory, and make one more alert. This is similar to the results of chewing gum during test taking that you talked about in your blog. However, unlike chewing gum, they know the mechanism. Peppermint increases oxygen in your blood which then increases oxygen in your brain leading to these results which aids test taking results. This post is really interesting I didn’t realize there was so much more to gum than I thought. It makes me think why not chew gum during tests if it could help me improve my performance at all. This blog post is really interesting. Who knew that something distracting can actually be beneficial? One thing to think about though are the flavors. Do certain flavors have more of an impact on the brain than others? Perhaps spearmint is more beneficial than bubble gum. Overall, this post is pretty cool and I am definitely going to try chewing gum during my next exam. Check out this link. Apparently chewing gum can improve your memory as well! I would always be in the same room as the smartest kid in my grade for the SAT. Every time the proctor would say “Turn the page and begin” he would take out a fresh piece of gum and put it in his mouth. I was always confused on why he did it until I read this blog. I was never aware of the benefits gum has on the brain. This article, https://www.psychologytoday.com/blog/your-brain-food/201208/gum-chewing-is-good-the-brain, goes into further detail on the affects gum has. Did you know once you spit out your gum all the benefits gum has goes with it? You’re blog inspired me to chew a piece of gum next time I have a test. Hopefully I’ll see improvement! One thing to keep in mind is the type of gum being chewed as well. Various brand names (Cadbury, Kraft Foods, Wrigley) have their own variety of flavors (Wintergreen Stride, Watermelon Trident, Juicy Fruit) which could also range into different types of gum (Caffinated, Sugar free, etc) so chewing gum can have a variety of different effects on the body and performance, even if it is minute, depending on what it actually is (http://www.worldlibrary.org/articles/eng/list_of_chewing_gum_brands). While on the topic of candies and tests, one common misconception is the use of peppermint candies during tests to help improve remembrance and scores. Although they may be a sweet treat, consuming peppermint actually helps to calm the user while having no enhancement on user’s memory-related abilities (http://jass.neuro.wisc.edu/2012/01/Lab%20603%20Group%205%20The%20Effect%20of%20Peppermint%20on%20Memory%20Performance.pdf). I love chewing gum, however, and found your article to be very informative! Good luck with the rest of the semester! I remember my 7th grade teacher always allowed us to chew gum in class and suggested we chew gum for tests. We were all a bit confused as to why we should chew gum for a test. She told us that if we were to study for the test chewing a piece of gum, to take the test chewing the same type of gum since it stimulates your brain to remember things. I didn’t quite believe her back then, but today I am starting to believe her more and more. After reading your post I am definitely going to start chewing gum for tests again. Also check out this article, http://greatist.com/happiness/chewing-gum-could-make-you-smarter . They had a funny tip; to save your piece of gum for the hardest part of the test since the flavor runs out. I love this post because i literally go through a pack of gum a day. I’m not kidding! Since I’ve been here I’ve already blown through a box of 20 packs of gum! Whenever people ask me why I chew gum I tell them because it burns calories, or at least that’s what I’ve been told! I was always under the impression that chewing gum burns about 11 calories an hour. I looked it up on google, and according to Livestrong, it does burn 11 calories per hour. That may not seem like a lot but imagine if you chewed for 4 hours a day, that would equal 308 calories burned in a week! http://www.livestrong.com/article/315274-how-many-calories-does-chewing-gum-burn-per-hour/ I’m really glad to hear that chewing gum has many benefits. I also think you have a god selection of pictures that are comical, yet get the point across. Also, you might want to site the sources for the images in the blog, just a heads up!